Powerful and Successful Businesses Have a Clear Vision. Does yours? The only way to powerfully achieve what you set out to do is to create a clear vision for business and life. This vision will serve as a guide for you to grow into what’s next. Your vision also helps you communicate to others what you intend to create. The art of creating has a clear metaphysical rule which is “if you can believe it you can achieve it”. For many women, their business is a reflection of some aspect of their talents, gifts and values. In this case it easy for them to communicate about their business because their heart is in it. I truly believe that we need to create our life so that we live with our gifts and values at the forefront with a clear vision for both how we want to live our live and create our businesses. I’ve created a few questions for you to answer below that I believe will help you connect more deeply with what you offer in business or your work life and will most likely connect you more strongly with what you offer in the world. What is the greatest value your business provides others? What is the greatest joy your business provides you? What is the greatest wish you have for your business? What is the vision you hold for your business going forward in the next year? I strongly believe that we need to re-enliven our connection to our business on a regular basis. Did you get any new insights or revelations from answering these questions? Please let me know. Take good care and remember to take time for you. Can you imagine living your life with influence, power and success? If you can, then this is your time. Women are stepping forward to live and lead in ways like they never have before. The Essential Feminine™ Company is leading a movement based on the belief that women’s natural talents and gifts are needed in the world today. Women world-wide are awakening on mass—just look at your email and you will see the awakening –daily. We are re-launching our well known and loved complimentary Living Rooms this month and will be hosting them on the 4th Wednesday of each month at 12 noon PST. Let us take you on a journey to that essential part of you that is ready to create success, live with influence, and really make a difference in the world. We will provide consulting, webinars and products that support you to create your custom life and/or business building from your natural feminine essence. 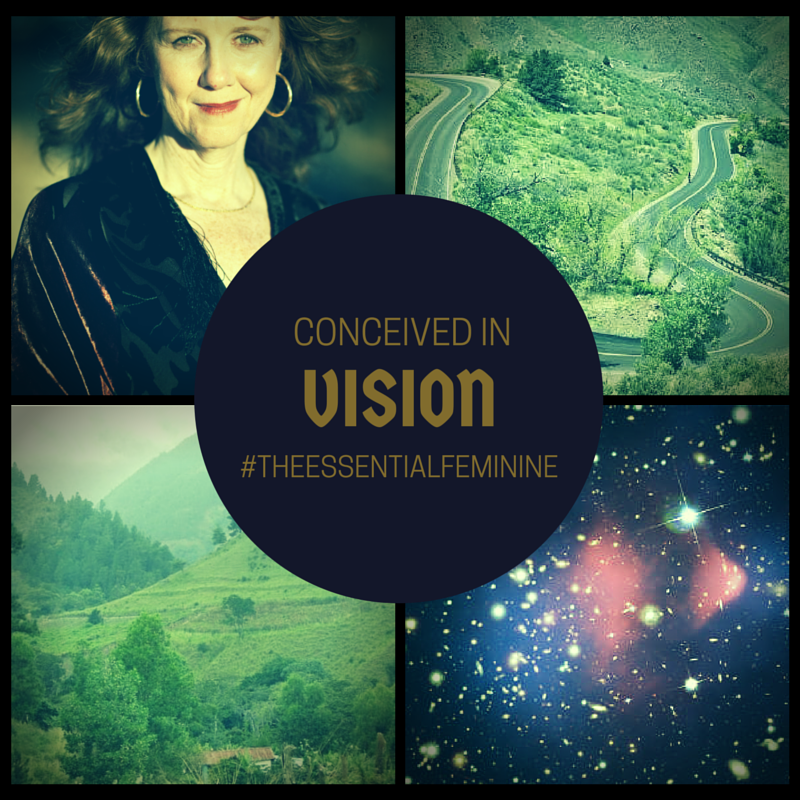 Join me on this journey to your Essential Feminine. Begin to build lifelong confidence, overcome your resistance to change, and create a life that allows you to live with influence, power and success. Enjoy companionate support and accountability from a world-renowned confidant and consultant. Join us for this life transforming journey. 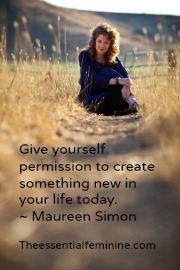 2010 will open many possibilities to women that the world has not yet seen. The collective is ready. Are you??? Arrive consciously –with clear intentions. The time is now! So often we feel distant and far away from our dreams. The true art of living includes inviting your dreams and visions in to your day to day life. There is no need for separation. There is no need for these visions to feel far away. How do we dust them off and begin to dare to think of what might be possible. How do we move from the smallness of our every day thinking to the grandeur of the realm of all possibility? • Observe any small or limited thinking in your day. These are old habits to break out of. Replace them, one by one, as they come up with exciting, expanded, exhilarating new thinking. As we begin to look closely at our dreams and to make them a part of our every day reality, they will no longer be dreams but they will become our reality. What you imagine you can create. Within our imagination we hold the power to recreate our lives and manifest far more than we believe on a day-to-day basis. The art of manifesting includes one’s ability to clearly define a desired outcome or way of being and to believe and work towards this on a daily basis. Setting a clear intention is the first step in creating a new reality. Never be afraid to think big and design this new reality to include things that both feel good and provide you with opportunities for growth. We often beaver away in our own world, viewing life from a set of limited lenses. Expand your vision to include seeing the world in a whole new way. There comes a time in life where we know we have to take ourselves to the next level; the next level of adventure, accomplishment, exploration or achievement. When this feeling sets in we often feel a questioning of our abilities to take our life to the next level-whatever that may look like for you. Some may chose never to move past a certain level of development or living and remain in a state of entropy. It takes great self-confidence to move throught theses challenging times; to stretch ourselves and move to new levels of living expression or achievement. It is easy to spot those who old back and show a lack of confidence, as this lack of confidence shows up in the words they speak, the way that they hold their body and the way that the repel rather than attract others. Today’s economy and the state of the world can shut people down and make them question their self belief. On the other hand, these times that we are living in can offer one an opportunity to stretch beyond limiting thoughts and beliefs and to live with a new level of confidence. What’s your choice? The clearer we become about what our life is meant to express, about our talents and our gifts, the more powerfully we will be able to attract allies, guides, friends, and supports to help us on our journey. When Socrates spewed the famous quote, “know thy self,” the importance of his words carried throughout the ages. I believe that this quote carries such importance because as humans unless we “know thyself” we miss a tremendous opportunity to live fully alive lives, to create at a truly high level and to manifest and contribute in powerful ways. The first true step to powerful manifestation is to truly know what we value what we believe and what we would like to create. From this simple knowledge we can go forth into the world with this powerful inner-knowing and understanding and manifest far beyond what we ever envisioned.